What does it mean when you dog...? 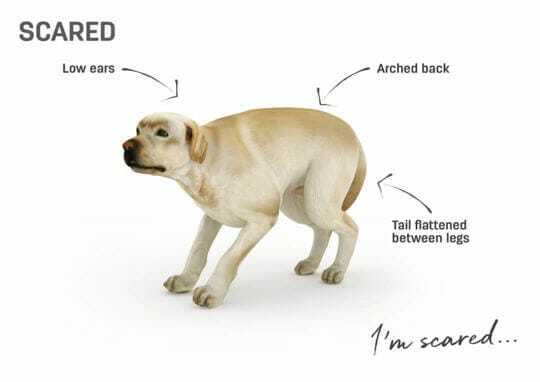 Dogs use their entire body, from ears to tail to communicate with other dogs and with people too. They tell us when they’re happy and relaxed, but also when they feel fearful or anxious. 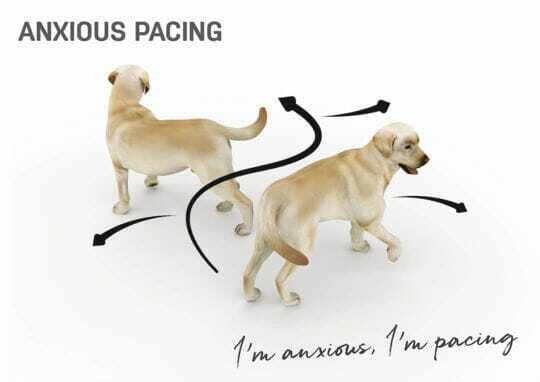 In some cases, dog body language can be a bit tricky to decipher. We may interpret what our dog is saying the right way. 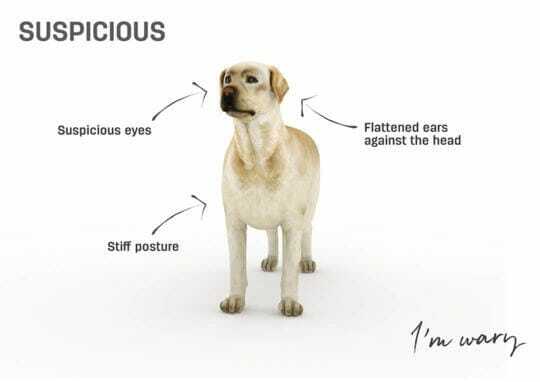 Decoding requires some practice to learn to read your dog body language. YOUR DOG IS TALKING, ARE YOU LISTENING? This is a calm and relaxed dog. 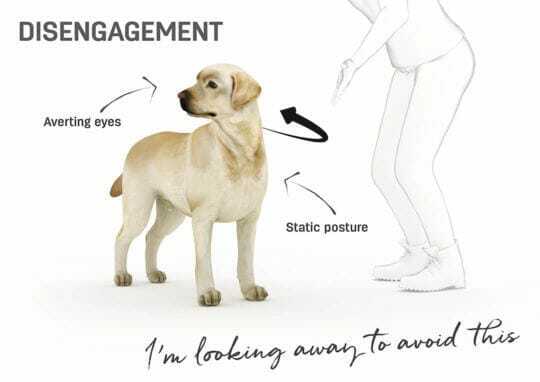 You could interact with this dog comfortably. This is called a "play bow" - Your dog is saying "I want to play now." This invitation to play can also be accompanied by excited barking. 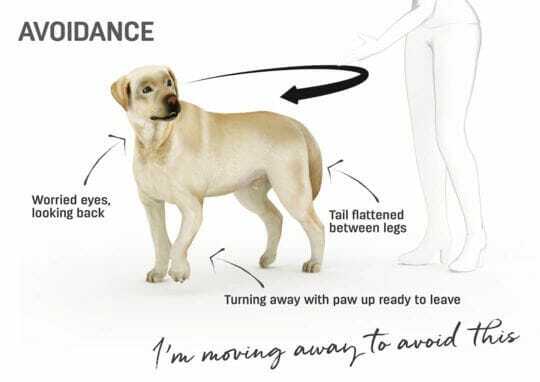 Please note: All the body language from here to the end are most often caused by fear. Your dog doesn’t know any other way to talk to you and communicate his feelings. Your dog is unsure of the situation. Forcing interaction could make him more fearful. This can happen when dogs are not sure what will happen next. Licking lips doesn't mean your dog is hungry. 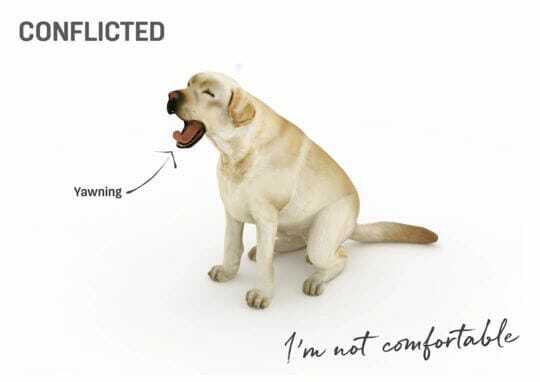 Your dog is saying “I’m struggling, the uncertainty of the situation makes me uncomfortable." Your dog is saying “I feel something strange is happening and I’m wondering what it is. I’m not relaxed at all, I need to determine if there is a threat. Give me some time to work things out. Please do not touch me. I may become startled and react defensively." Do not interact with dogs trying to avoid you, they may react by biting. 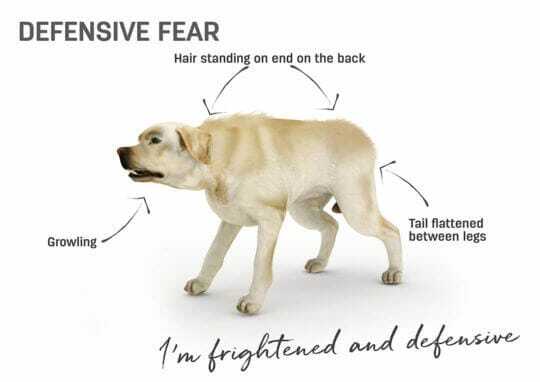 When dogs are this scared, you should not interact with them. They may feel threatened and react negatively. Do not interact with dogs that are growling. This is a clear warning they are scared. Any further interactions could lead to them becoming more aggressive. 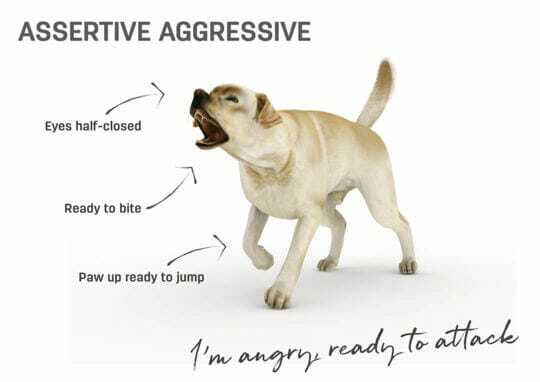 Your dog is saying "I'm being threatened. I’m going to get hurt, so I’m going to bite first." Never interact with a dog in this state, you will get bit. Slowly move away from this dog.